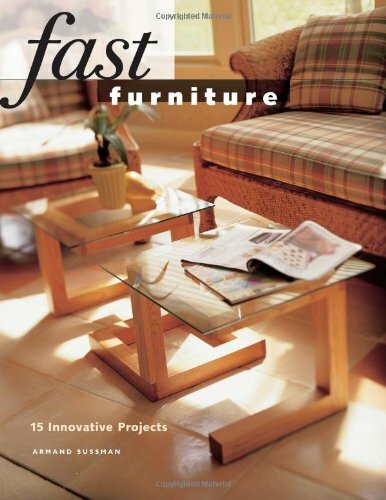 [PDF] Fast Furniture: 15 Innovative Projects (Popular Woodworking) | Free eBooks Download - EBOOKEE! Description: Turn your workshop scrap lumber into simple, inexpensive pieces of furniture that are both sturdy and attractive. Fast Furniture shows you how with 15 intriguing projects that surpass all expectations, including a wide variety of tables, a bedspread valet, a desk, a mirror frame and more. None of these plans require complex furniture and cabinetmaking joints, rather they use flat sticks of different lengths cut with squared ends - no angels, curves or grooves. The differing lengths create their own mortise-and-tenon and lap joinery that goes together with a few saw cuts, glue and clamps. No comments for "[PDF] Fast Furniture: 15 Innovative Projects (Popular Woodworking)".